Tucked in an alley around the corner from The Okura Prestige by Zhongshan MRT station is Taipei’s homage to the J.R.R. Tolkien classic and subsequent Peter Jackson films. 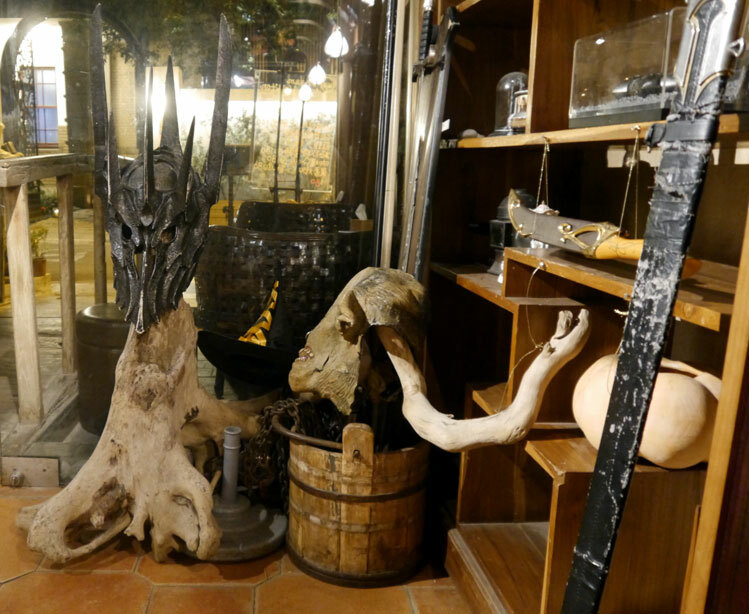 Of course, most of the Hobbit-related decor is related to the films (the books are nowhere to be found in the establishment). With five individually decorated floors, including the rooftop, none of which resembles much of anything from the films (though the bar on the first floor could fit in Bag End), Dream of Hobbiton welcomes diners to a meal that is more closely aligned to Italian American cuisine than that of Middle Earth (I don’t think you can make Elven bread anyway). If you really want some authentic meals from Middle Earth, check out this Wikipedia page for ideas. 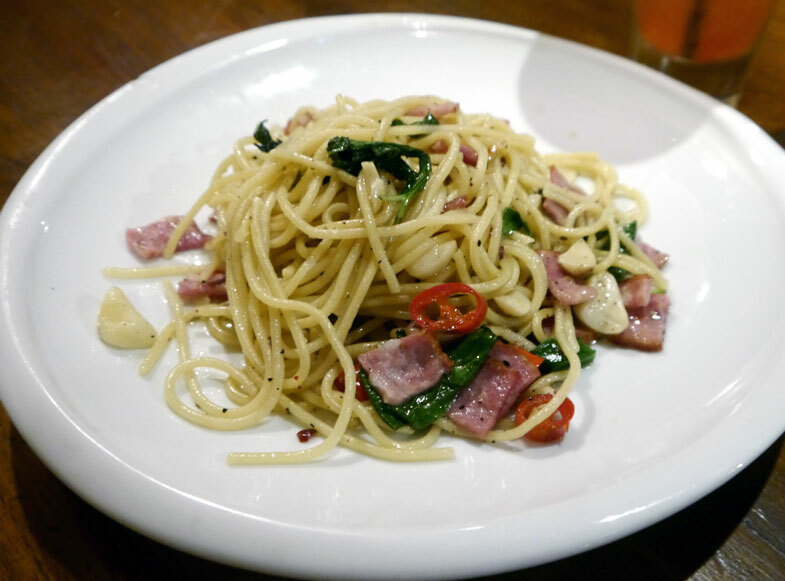 There are plenty of pizza and pasta options, including a spicy bacon linguine dish that lived up to expectations (I don’t expect to find many truly spicy dishes in Taipei). The roasted chicken legs and lamb would probably be a more appropriate dish to order in Bag End or Gondor. There’s even a nice selection of salads for those elves that don’t seem to eat much. 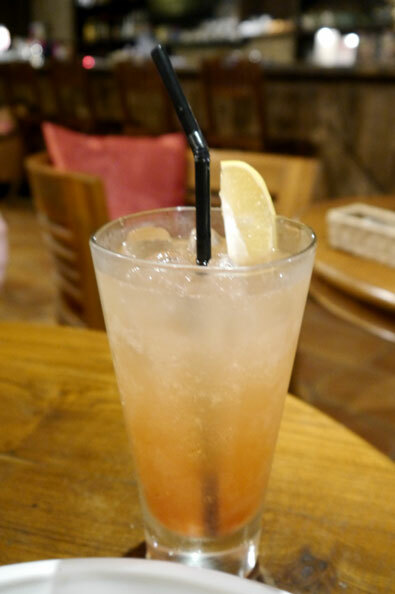 The only Hobbit-themed menu item is the Sweet Hobbit, which is a fruit-flavored rum cocktail. 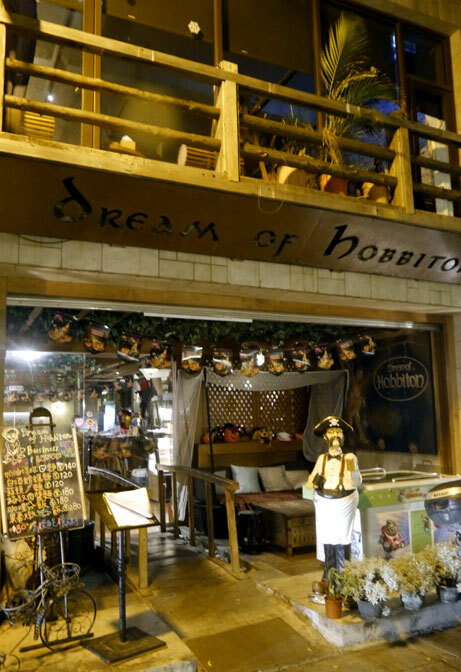 All joking aside, Dream of Hobbiton is a fun experience with a few friends–bring your own nerdy jokes to dinner. 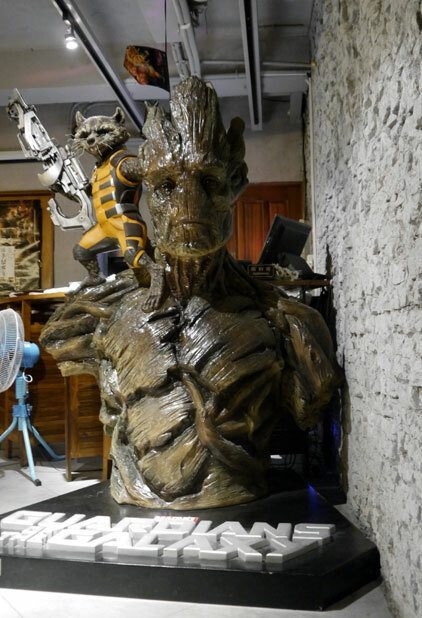 You can walk around the floors and note what movies the memorabilia is from (I’m still not sure about the butler in a pirate hat at the door). It would certainly make for interesting conversation to see who can identify each piece. Was this in one of those new Hobbit movies? Prices are reasonable for the area. Appetizers are NT$80-180, pizza and pasta dishes are NT$160-280, main courses are NT$280-780.